The techniques vary from our large Mirza rug washer to dry soil extractor to gentle hand dry cleaning. After cleaning, all rugs are put in our huge humidity-controlled dry room for gentle and fast drying. All rugs are inspected thoroughly after drying and packaged in protective tubing for transit before the rug cleaning begins. We also specialize in urine and odor removal and also offer moth treatments, anti-allergen treatments and fabric protection, with your rug cleaning. Feel free to ask one of our highly trained representatives for details. 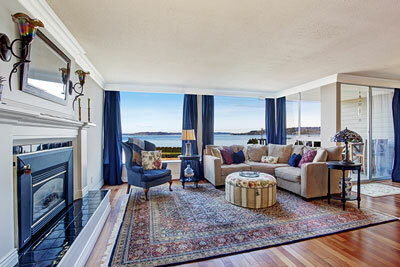 Oriental rugs and carpeting are the most expensive furnishing in your home or office. Our team provides only the finest service when cleaning your rugs, upholstery, and carpets in Jupiter Island, FL. Whether in-house or on-site, we are efficient, thorough and take the utmost pride in our work. Our methods are consistent with manufacturer's warranty and care recommendations. 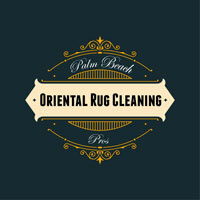 Palm Beach Oriental Rug Cleaning Pros combines a modern understanding of fibers, dyes and cleaning techniques with our deep knowledge and experience of the diverse materials and weaving techniques used in rug production throughout history and today. Not only the type of stain or soil, but also the age, fiber, weave, dyes and condition of your rug can have an effect on the proper techniques and products used to effectively clean your rug. 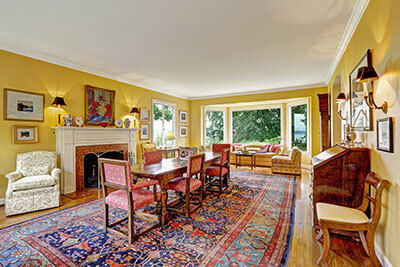 Oriental rugs also require the highest level of knowledge to repair properly. The large variety of construction methods (hand tied, machine made, hand tufted, woven, natural or synthetic dyes) and yarn types (silk, wool, cotton, jute, acrylic, rayon, etc.) may require several types of rug repair techniques. Custom border rugs, re-fringing, serging, and binding are only a few of special rug repair services that we provide. We can also custom design stair runners and resize machine-made oriental rugs. A long-standing respect & passion for the art of rug making enable us to properly evaluate and execute all facets of specialty repair. We’re familiar with all types of rug and carpet construction; domestic to foreign, machine made to hand loomed. Our in-depth knowledge of the history, heritage and evolution of international and regional designs make us a valuable resource. We can help you determine the value and condition of your specialty items, enabling you to decide on the best manner of care and optimal end use for them. Many customers have had us salvage valuable heirloom textiles and turn them into unique wall hangings or decorative pillows. For items used as floorcovering, we can provide just the right underlayment or padding to protect and extend their life. If your item can be authentically repaired we can do it beautifully because we understand the construction of Oriental rugs from the foundation up. If it can’t be done seamlessly, we’ll tell you honestly and consult with you about the options available.